SCHEMA ST4 gives you efficiency, control, flexibility and maximum support for your authoring processes. Every new release has extensive functions that contribute to these qualities, which is why our flagship product has become one of the market-leading component content management systems. SCHEMA ST4 2018 SP2 brought many changes under the surface as well as a number of adaptations to the user interface and functionality. Transfer filtered content via workflows so that a specific variant can be further processed in the next process step. Transfer files to the next process step as an attachment in a workflow or import them so that they can then be further processed automatically. Combine this function with automated tasks so that you always have the latest version of the files; even those that regularly change. Import Excel files automatically to save time. With SCHEMA you are always ahead of the game, now and in the future. That’s why you’ll notice distinct performance improvements in SCHEMA ST4 2019. We are gradually moving operations, which up to now were performed on the client side, to the server. What you will initially notice is simply that SCHEMA ST4 performs better. However, our intention with this change is also to prepare both you and us for the future requirements of technical documentation. In SCHEMA ST4 2019 this will initially affect the Excel import and all our workflows, but the number of functions will gradually increase. Incidentally, in the Excel import you can now specify that a new version of data nodes will only be created when the content has changed. It can now show you which nodes are in translation but do not appear under “Pending TMS exports”. The Translation Report also tells you which modular content has already been translated, which is in translation and which could still be translated. What’s new? 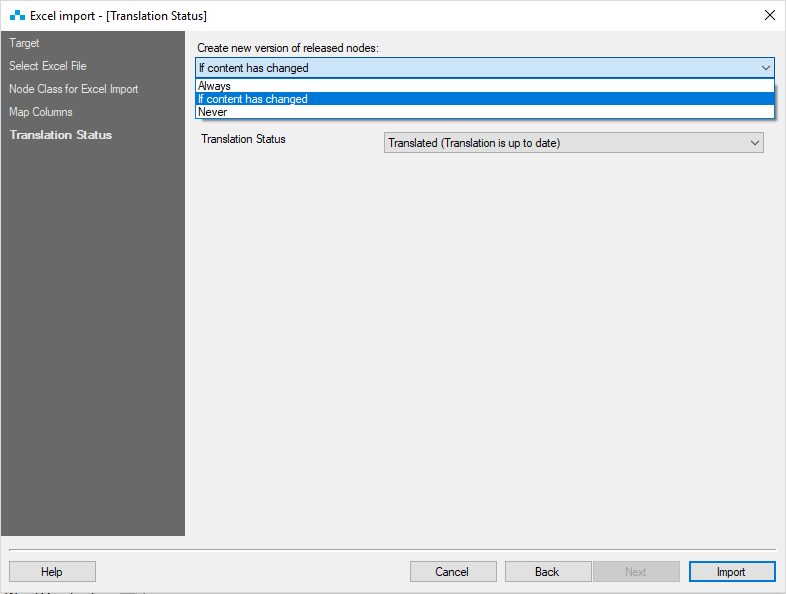 While the Translation Report is being prepared, you can continue to use SCHEMA ST4 as normal to keep track of other tasks.